Are you stuck in a fitness rut? It’s always a good idea to change up your workout routine to avoid the dreaded and inevitable body adaptation effect. Try some of these 10 workout trends to break through an exercise plateau and start seeing results again. Acroyoga is a combination of acrobatics and yoga that is usually done with a partner. There are also several physical and mental health benefits to participating in Acroyoga. For one, it can build strength and flexibility and help to reduce your overall stress levels. Certain poses in Acroyoga are also therapeutic for increasing mobility and allowing for pressure point massage therapy. This workout trend is definitely for the more adventurous and fit individual! Joining a local outdoor cycling group is a win-win – you get to meet new friends and enjoy the great outdoors in the process. Biking outside is a great way to get your daily dose of vitamin D, support your natural circadian rhythms, and beat the boredom that results from always working out at the gym. Several cities have various types of outdoor cycling groups – from the tame and slow-paced to the more adventurous and intense. Some groups even ride on Friday or Saturday nights as a social outing with music and speakers in tow. Pilates is a form of exercise that was designed by Joseph Pilates to help with correcting posture, mental focus, and strength and conditioning. 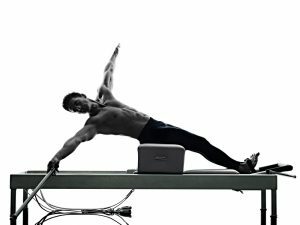 The Pilates Reformer is a machine that uses these principles and provides support for many of the traditional Pilates movements. It promotes a more dynamic and intense workout while also providing a safer method where you have a lesser chance of incurring injury. Most Pilates studios have small group Reformer classes or one-on-one. It’s almost like a workout crossed with physical therapy. If you’re sick of lengthy and tedious cardio sessions, you may want to try HIIT cardio. HIIT stands for High-Intensity Interval Training, and it consists of short, intense bursts of cardio (about 30 seconds to one minute) interspersed with a recovery time at a much lower intensity (about 60 seconds to three minutes). Most HIIT sessions shouldn’t last longer than 20 minutes, and you can even see benefits within 10 minutes of this type of aerobic exercise. It can be done on any cardio machine or with other types of aerobic exercises (i.e., running, burpees, or jumping jacks). This classic sport as a workout routine is making a comeback in the fitness world. You can get incredible cardio conditioning with boxing. You can also improve your coordination, strength, and balance. Look for boxing gyms that offer small group classes, or you might be able to find a boxing class at some specialty gyms. If you’re looking for an effective and calorie-blasting workout that’s easier on your joints, try trampolining. These group classes are popping up all over the country and becoming quite popular. The workout involves different jump moves on a small, personal-size trampoline. Sometimes the trampolines have a handle, so you can incorporate other types of resistance exercises into the workout as well. Trampolining increases your balance, coordination, and athletic endurance, and it’s amazingly fun! This exercise trend got its start in the physical therapy world. As athletes were recovering from injuries, rehabilitative exercises were designed to help them meet their daily movement needs. Functional Training helps the body to perform better in these daily activities while also lessening the chance of injury. It is individualized but usually focuses on flexibility, core, balance, strength, power, and multiple planes of movement. The types of equipment used in Functional Training are balance boards, kettlebells, swiss balls, cable machines, medicine balls, and suspension systems. It also incorporates bodyweight training and plyometric training. Look for personal trainers who specialize in Functional Training to try out this type of workout. 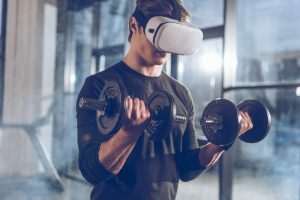 If you’re looking for a workout that is really out of the box, motivating, and that will really make the time pass quickly, VR (Virtual Reality) Workouts might be for you. 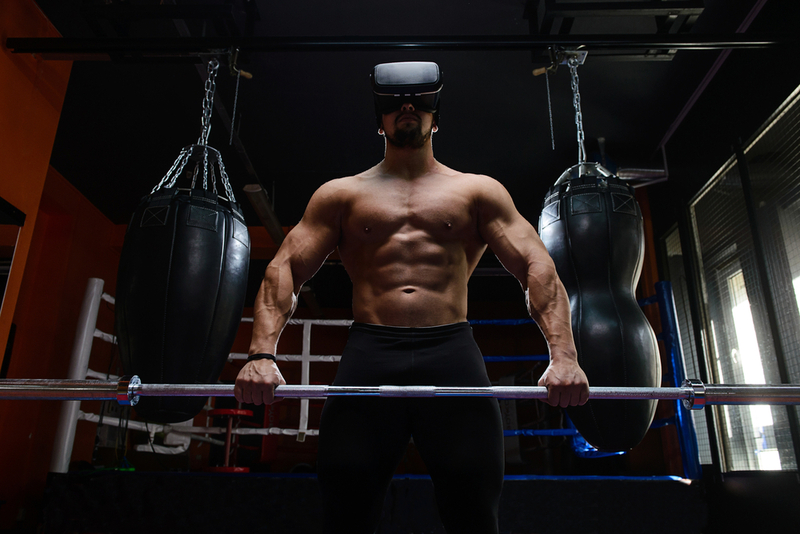 There are now several VR games that are geared toward building body strength and burning calories. You will find games that include boxing, dodgeball, sword fighting, plyometrics, archery, and squat competitions. While most VR games do tend to focus on upper body resistance movements, there are a few games out there that will get your lower body burning as well. The old classic pedometer has really gotten an upgrade in the last few years as more modern wearable fitness trackers have hit the market. This technology can do everything from counting your steps, and daily floors climbed to measuring your basal metabolic rate with a heart monitor. People are finding that they are pretty motivated to meet their daily goals as they challenge their online workout buddies. You can also track your calories, hydration level, and the quality of your sleep. Many fitness trackers will vibrate throughout the day to remind you to get up and move. Studies show that people who regularly use wearable fitness technology burn more calories and are more likely to meet their fitness goals. One of the most popular television shows at the moment uses this type of workout. These fun and furious courses increase your cardio endurance, strength, balance, and power by introducing different levels of obstacles. Some harken back to gym class, like the rope climb, but others are completely new. Several props are also used during the workouts, like large tires, battle ropes, and sandbags. Find these exciting classes at specialty gyms in your area. It’s hard to stay motivated day after day when it comes to getting your workouts in. Break out of your workout slump by experimenting with one of these new workout trends. You might find that you are more motivated to train more and able to see great results.